ECDPMPublicationsArtisanal gold mining in DRC: Time to get down to earth? 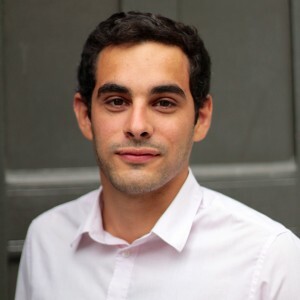 Karim Karaki, ECDPM paper, March 2018. In the Eastern provinces of the Democratic Republic of the Congo (where most of the Congolese gold is mined), artisanal and small-scale (ASM) gold mining contributes to the livelihood of about 200,000 miners and their families. 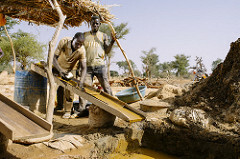 This type of mining however, has a significant environmental and social impact. Development partners seek to support the sector and make it a vehicle for sustainable development. This comes with a range of challenges, because of the nature of ASM itself, and because of the local political, economic and social context in DRC. This study illustrates and sheds new light on some of the ASM realities in Eastern DRC. More specifically, it analyses the political economy of the ASM gold mining in Eastern DRC and the challenges and opportunities for economic development using a territorial development approach. Be realistic about what can be achieved, and work following a flexible and adaptive approach. Foster vertical and horizontal linkages and synergies, in particular between ASM and agriculture, and ASM and large-scale mining. Engage, facilitate and support partnerships between businesses, civil society organisations (CSOs), communities and formal and informal authorities.